Does your roof need to be replaced? Not all roofing contractors are going to provide the same level of service and cheaper isn’t always better as you’ll learn below. As a homeowner it’s important to know what specific questions you should be asking so that you can be sure you’re going to be left with a new roofing system that is properly installed. Installing a roof might seem pretty basic but there are a number of details that make a massive difference in the performance of your roof over the long-term and not all contractors complete them. The 8 questions below will help you narrow down your choices to a roofing contractor that has the experience and knowledge to ensure your project is done the right way, the first time. 1. Is Removal And Disposal Of Your Old Roof Included? It’s not uncommon for roofers to cut corners and try to reduce the price of the project by adding another layer of shingles over your existing shingles. This is problematic for a few reasons. #A. If the old shingles aren’t removed you have no idea of knowing what kind of condition the roof decking is in. If your roof has been leaking it’s important the decking be checked for rot or soft spots. #B. Adding an additional layer of shingles can actually make the next roof replacement more expensive because they will be pulling off two layers of shingles. If the roof wasn’t installed correctly to begin with then you could be replacing it much sooner than you think. If the roofing company is going to remove your old shingles (the best option) are they including disposal fees in the total cost of the estimate? Or will they be leaving you with a pile of shingles in your yard? Shingles need to be disposed of at a proper waste or recycling facility. 2. Is There An Additional Cost To Repair Rotten Or Damaged Roof Decking? It’s not uncommon to discover additional problems with your roof decking when the old shingles are torn off. This damage cannot always be discovered until the old shingles are removed. Once your roof is torn off if there is damaged roof decking it’s going to be really obvious and you’ll be able to see the damage with your own eyes, but what’s not so obvious is the cost to replace the plywood. What will the contractor be charging you for a sheet of plywood to replace rotten or soft roof decking? You want to know these potential costs before you hire a roofer so that you don’t get any surprises. It’s going to hard to dispute these additional costs if your roof is already torn off as it will put you in a precarious position and some roofers will drastically inflate these costs. 3. Does The Price Include Installation Of A Drip Edge? Drip edge is the metal flashing that should be installed along the edges of your roof and underneath your shingles. The drip edges purpose is to help control the flow of water away from the fascia, soffits, and edges of your roof decking. By diverting the water away from this area it can prevent water from getting up and underneath your shingles and causing water damage to your roof. 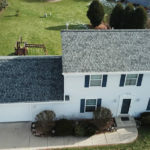 Because many homeowners don’t know about this important detail there are plenty of roofing contractors out there who will skip this process in order to save time on your roof. Be sure to ask if drip edge installation is included in the roof replacement estimate or if it will be an additional charge to install. 4. Will You Get New Roof Flashing Or Do They Reuse The Old Ones? Flashing are pieces of metal that help seal up your roof. There are certain areas of your roof that can be more susceptible to leaks. Areas where roofing seams meet, roof valleys, dormers, skylights, and around your chimney are good examples of areas that roof flashing must be installed. These are areas where shingles alone cannot prevent water from entering your structure, the flashing works to divert water away from these areas. Roof flashing takes time to do correctly as the old pieces must be removed and then carefully measured so they can be reconstructed any flashing that is too short or not wide enough needs to be rebuilt too. If the flashing is being replaced then each piece will need to be cut and bent and then installed. In some cases your existing flashing might be in good shape but in most cases flashing is installed to work with the particular type of shingle that is being installed. If you’re getting a new roof, new flashing is an important step you don’t want your roofer to skip. 5. How Many Nails Per Shingle? Different shingle manufacturers might have specific requirements for fastening their shingles down. If the shingle manufacturers guidelines are not followed it can void your warranty in the event of a roofing failure. At a minimum your roofer should be fastening each strip of shingles with at least four nails. 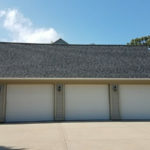 If your roof is very steep or your property experiences frequent high winds then using 6 nails per shingle strip is a better choice to ensure your shingles stay on your roof during the next big storm. It’s not as simple as just nailing down the shingles there is a specific way your shingles should be nailed down. Every shingle has a nail line. This small strip is usually an inch or two wide and this is where the shingle is supposed to be nailed down. If the nail is driven through in the wrong place it’s unlikely that it will catch the shingle below or it could be exposed to the elements and will corrode and lead to roof leaks over time. 6. Ask How They Will Seal Up Your Roof Valleys? The valleys of your roof (where your roof lines meet and change angles) need special protection to keep the water out. If your roofer tells you that weaving your shingles together will be sufficient you should consider that a waving red flag. Weaving shingles in the valleys of your roof is definitely cheaper and requires less work but it offers very poor protection. Be sure your roofing contractor is including the installation of metal roofing valleys and they are not just weaving the shingles together. 7. What About Roof Ventilation? Often the root of many roofing problems can be traced back to inadequate ventilation or even poorly installed ventilation. If your roofer has provided you with an estimate for your new roof did they mention anything about your roof venting? If it’s found to be not sufficient you’re going to want to have additional vents installed. Installing roof vents isn’t a difficult task when the old roof has been torn-off and the installation of new vents won’t drastically change the cost of your roof replacement. Proper ventilation in your roof will reduce the chance that condensation can build-up in your attic which can lead to mold and other problems you don’t want to deal with. 8. How Will Your Roofer Protect Your Property? The traditional way of tearing off a roof will usually have your roofer laying some tarps down on your lawn and then just throwing the old, torn-off shingles down onto the tarp. This doesn’t protect your property from damage (shingles are extremely heavy) and it also does a poor job of containing the mess of shingles. If you care about your lawns and gardens you might want to choose a roofing contractor that has invested in special equipment such as the Equipter that we’ve invested in. Paragon Exteriors LLC’s Equipter is a dumping trailer that can be positioned directly alongside your roof where our crew is working. Unlike a normal dumping trailer this one is actually motorized and can be gently moved around your property without the use of a truck. This allows the dump trailer to be positioned closer to the roofing crew. Finally, once in place the Equipter can actually be raised to match the height of your roof so it’s much easier (and cleaner) for our roofing crew to throw away the old shingles. This greatly reduces the chance of damage occurring to your lawn or flower beds that might surround your home. Paragon Exteriors LLC provides professional roofing services throughout Waukesha County and Milwaukee County. If you need to have your roof repaired or it’s time for replacement you can count on knowledgeable, professional service from a top-rated local company. Customers love the Paragon Exteriors experience because we take the stress out of your roofing project. 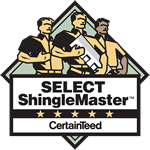 We are certified installers for CertainTeed and Owens Corning roofing products so you can feel confident knowing that your roof replacement is going to be completed to the manufacturers specifications and will qualify for the full manufacturers warranty. With our price match guarantee, our lifetime workmanship warranty, and our dedication to excellent customer service, we’re one of the top rated roofing contractors in Wisconsin and we’re ready and waiting to serve you too. If you’d like to schedule an estimate for your roof replacement give us a call (262) 565-8282 or fill out our contact form and we’ll get right back to you. "Estimate was quick and good, originally contracted for a rubber roof. Materials were delivered on Monday, and work began on Tuesday. When the work was started and the old roof boards were exposed (building is very old and a bit sagged) the crew measured the pitch. 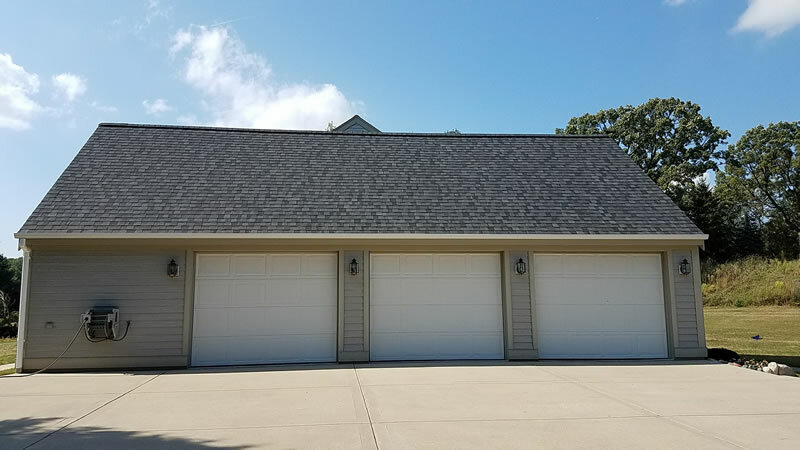 Jake gave me a call that there was enough pitch to use a premium shingle with that would be less costly and have 25 year warranty instead of 10 years for the rubber roofing. There was nothing to argue about. He was here with the new contract within a couple hours. New materials were delivered promptly and the original ones picked up. The crew was polite and worked together well. They finished the work about noon on Wednesday, cleaned everything up and all that remains is the dumpster, which will be picked up by the subcontractor, and a palate with extra packages of shingles that is to be picked up by the supplier. It was very pleasant to be able to save almost $1500 and get a better warranty, and I applaud Jake for the extra effort in recommending the option and changing the contract in the middle of the job. I would recommend Paragon exteriors LLC and would use them in the future."